Our main objective at Innovation Foods 360 is to develop products which fully satisfy the needs of our clients. Our management systems for quality and food safety allow us to guarantee the hygiene of our products and present them in the best possible way. The high quality of our products is a faithful reflection of our company. In order to achieve this objective, we maintain close, effective and continuous communication with our clients, consumers, suppliers and the various other elements of the food chain. Meanwhile, our in-company communication systems make us extremely aware of the working processes of our organisation which enables us to be extremely alert to any opportunities for improvement whilst establishing any procedures to implement them. At Innovation Foods 360, the prevention of any possible dangers is a fundamental and basic part of our working system. 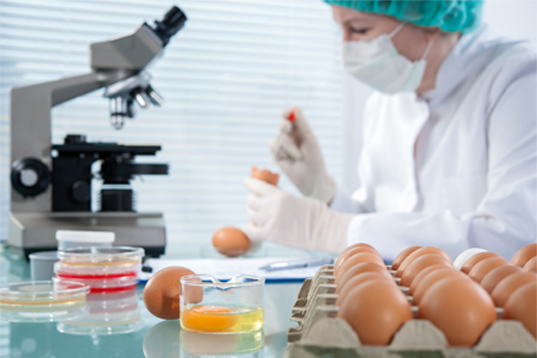 In addition to complying with all legal requirements, we work tirelessly in our efforts to continue to be pioneers in the innovation and development of food products. Another essential facet of our organisation is our commitment to environmental sustainability. During any negotiations with clients or suppliers we always include the results of our study of the relevant environmental legislation as well as details of the impact of our activities on the environment. Our principal aim is to create maximum quality products whilst guaranteeing absolute safety.